I’ve been meaning to write something like this for some time. 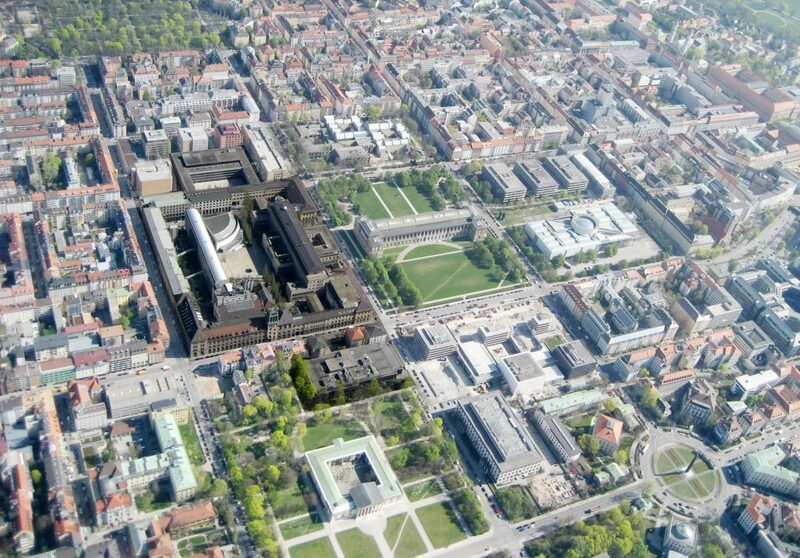 I was finally spurred into writing about applying to study in Germany by being connected with someone currently looking to study here. This week, a friend of mine reached out to me on behalf of someone he knew was looking to study in Germany for his master’s degree. He asked if I was willing to help out his friend by answering a few questions. Of course, I obliged. It turns out that this person, who we’ll call Alex, had some great questions about applying to study in Germany. Alex’s questions to me are below. Alex already has his bachelor’s degree, so he was specifically asking about master’s programs. I have no experience with the traditional study abroad or exchange route, so I won’t speak to them here. For those programs, however, you’ll likely be supported by your home school. Applying to a master’s program in Germany is different, in that you don’t have experienced administrators to help sort through the bureaucracy. But you do have me, and I’ve been through it before. I can help you wrap your head around the application process and all the various requirements for master’s degrees here in Germany. I’ll assume that he’ll first have a list of programs which he wants to apply to. This is everyone’s starting point for the application process. To make it easier to keep track of everything, you should make a bookmarks folder for each “Admissions” or “Applications” page. In general, you want to keep everything well organized during this whole process. It can get pretty confusing, especially when applying to multiple programs. However, in my experience, some universities have far too many web pages with information related to applying. Important information or deadlines could be anywhere. You’ll want to bookmark each one and keep track of what specific information they have. If you want to be more organized, you could compile all the relevant information together in a document. This way, you have one source for all the information you have for each program. 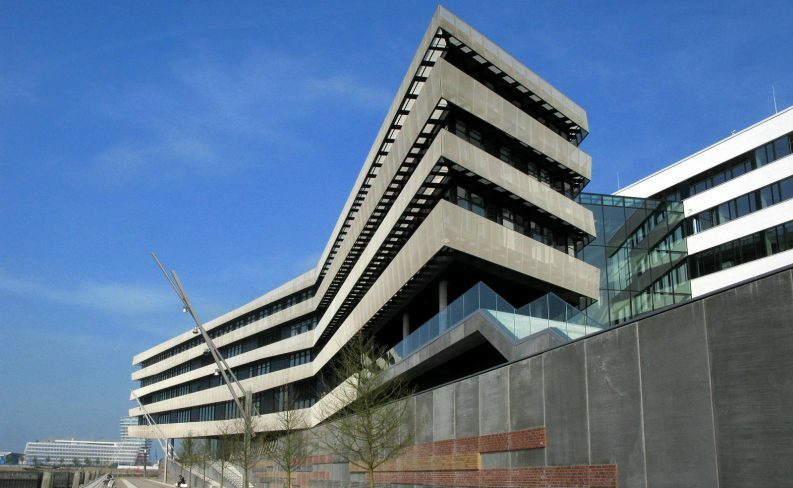 Hafencity University in Hamburg, one of the universities I applied to last year. Unfortunately, they fell into the category of schools with really scattered information related to the application process. 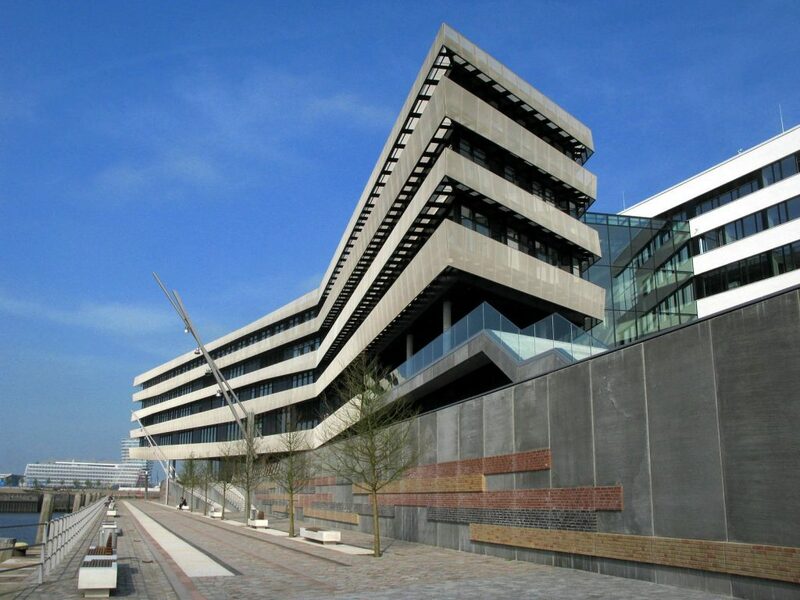 Photo credit: “Hafencity” by Michael on flickr (https://www.flickr.com/photos/photo64/14059577162/). I applied to three programs in Germany and one in Belgium last year. Even though that’s not many programs, I encountered a variety of ways of organizing the information related to applying. It was surprising to see just how complicated some universities have made researching their application processes. To show this, I’ve linked each and every page related to the application process for just one program I applied to below. That’s right, eight different pages. Eight different pages with several subsections and little, but important tips hiding in each one. Not every university presented the information in such a dispersed way. However, even the more well-organized programs can be confusing at first glance. 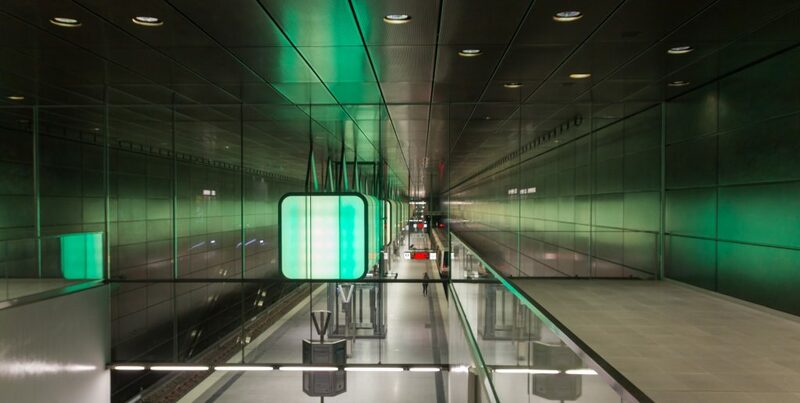 Hafencity University may have unorganized information online, but the U-Bahn station is remarkably minimalist and clean. Okay, if I’m actually going to answer Alex’s question, I should probably start now. This isn’t actually that difficult of a question to answer, especially when you have a list of programs. Regardless of the program, however, there are definitely some documents you will always need. That’s the bare minimum of documents you’ll need to apply to study in Germany. Many programs I applied to also required a separate document detailing all my related coursework. In addition, you should remember that each of these documents needs to be “official”. That means you need to send official, notarized copies of your diploma and transcript. Often, you’ll have to send multiple versions of each document, too. It’s worth noting that if your degree isn’t from an English-speaking country, you’ll have to provide proof of English language skills. This applies to most programs taught in English. German-taught programs, however, will require proof of sufficient knowledge of German. Usually, this is a certificate of the results from a “Test Deutsch als Fremdsprache” (German as a foreign language) exam. There are other ways to prove your knowledge of German, too. There’s a reason I dedicated an entire section to organizing yourself above. From my experience, that will be the hardest part of the process. Actually filling out the forms and writing your letters of intent are relatively easy. However, keeping track of the exact forms needed, and the deadlines for each, can be a headache. Heidelberg, Germany. 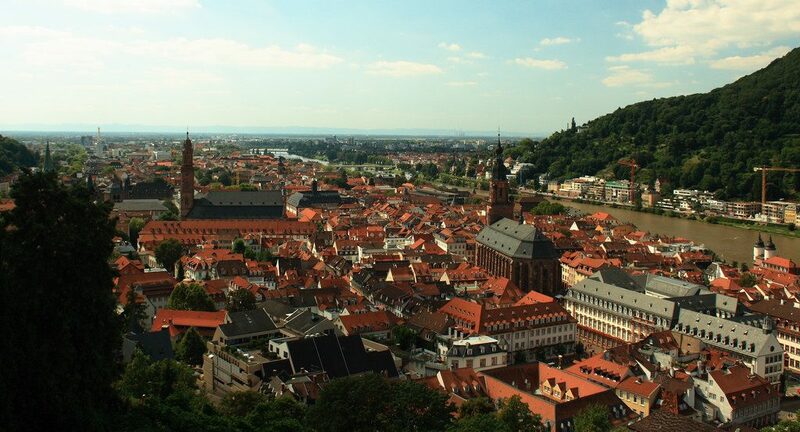 A great university town, and one you may end up in if you study in Germany! Photo credit: “Heidelberg panorama” , by dmytrok on flickr (https://www.flickr.com/photos/klimenko/4917668372/). All in all, the application process can take you anywhere from an afternoon to a couple weeks. It depends, very much, on how much effort you put into it. However, it also depends on the requirements of the programs you’re applying to, as well as the application process. Nonetheless, I have some basic information and general tips to share with you. Application deadlines, by which date they must have every document from you, range between late winter and late spring. You are trying to study in Germany after all, so everything must be documented. Usually, the submission period is from January to late spring. However, sometimes deadlines will seem unreasonably early. Also, be aware that dates will be in the DD.MM.YYYY format, which is the norm here. Sometimes this is easy to see, but always keep this in mind so you don’t miss a deadline. I believe the range of deadlines for the 4 programs I applied to was between mid-March and mid-June. Each university, even each program, has different deadlines. Each one also has its own online system. This is another reason why I emphasized making a list of programs first. If you want to be even more organized than I was, make a master list. Keeping all the most important information for every program in one place could help you stay on track. Some programs have a clear and well-organized online system for applying. You can submit documents online and keep track of your application’s progress every step of the way. Of course, you will need to send official signed or notarized versions in the mail, too. Unfortunately, some of the other programs or universities have outdated online platforms, if they offer one at all. This isn’t at all too different from the situation in the US, so just be aware of the hurdles you’ll face with the programs you’ve chosen. This may be common knowledge, but you absolutely should make individual versions of your motivation letter and your CV for each application. When I applied to schools early last year, I reused the format and style from my first letter for following one. I did make major changes to each letter, though. For each program, I focused on different past work experiences, coursework, and motivations. I often also molded my CVs to each program, reflecting the changes to the motivation letters. Obviously, the extent of the changes isn’t as big for the CVs, because it’s essentially a descriptive list. You should always have a copy of your CV for each program. In the file name, I always put a reference to the university or program so make it more personalized. This way, the admissions staff know you at least put some effort into the process. That’s always a good thing. I’ll return to my original motivation for this post to finish it up. At the end of Alex’s question, he asked me if I was able to do all of this by myself or if I needed the university’s help with the process. For the most part, I was able to figure everything out on my own. There was a bit of a learning curve to deciphering each program’s application process, but once you know what to look for it’s much easier. The only times I had to ask for help were when the application process was unclear in what it wanted. Since the education system in Germany is different from that in the US, some things can get lost in translation. The requirement of the “higher education entrance qualification” is definitely one of those things. In the US, there is no standard for university admission. All through my application processes, I kept seeing the requirement for this higher education entrance qualification. I couldn’t find a definitive answer online explaining exactly what this meant. I emailed a director of one of the programs I was applying to. They quickly replied saying that the requirement meant submitting official versions of my high school diploma and transcript. I was definitely a little surprised by this, and how the hell was I supposed to get my hands on an official version? Fortunately, after emailing with the records office of my high school I was able to get the documents without issue. The moral of the story is that there may be some confusion with some of these application processes. You can work through most of it yourself. However, don’t be hesitant to send an email to the administrators of the program if you need some help. If you have any other questions about the process of applying to study in Germany, please, ask in the comments below! As I said in the introduction, it can be an intimidating process. I will try my best to help you out as much as possible. Hey Tom! As there can be an overwhelming amount of information out there, I would like to thank you for putting together this concise summary of Master’s program requirements in Germany. Like Alex, I too have a bachelor’s degree and am now beginning the application process for a Fall 2018 Master’s program. One further question for you. Based on your experience and feedback from international peers, could you speak to the importance of the GRE general exam in applications to masters programs in Germany? To narrow that down, I am looking into engineering programs specifically, but I’m sure everyone can benefit from your response. Thanks! Well, thanks for the kind words Matt! I’m glad I’ve helped you in your search to study in Germany. To answer your question simply, no, the GRE has no importance to master’s programs here that I know of. It seems that every application I did relied on my transcripts to determine if I would be suitable for the program. I didn’t take the GRE, and I never saw a request to supply a test certificate of any kind. Obviously, Germany has its own standardized exams, so the various US ones are pretty useless here. Test results from something like the GRE might be useful in an application as supplemental documents/certificates. a few do require GMAT though. So be sure to look at the university’s own website for the required documentation. Most don’t require it though. I’m glad I happened upon this site. It has a wealth of information! Thanks so much for all you do and all the information that you are sharing. Well I’m glad you found it and that it’s been helpful. That’s why I do it. Thanks for the feedback!